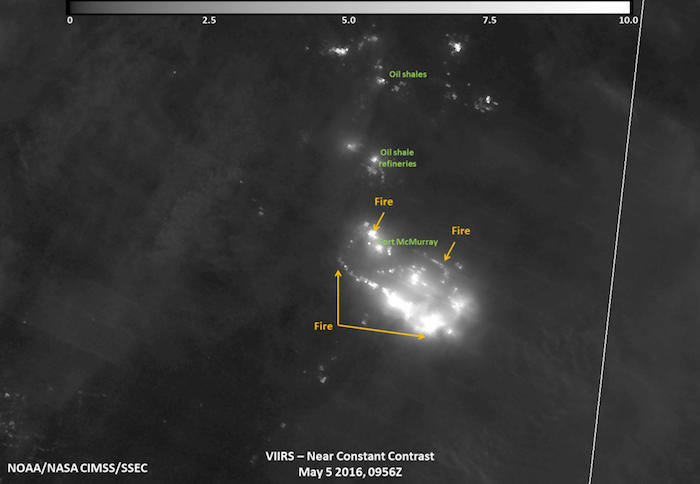 On May 5, 2016 at 0956 UTC (5:56 a.m. EDT), the Visible Infrared Imaging Radiometer Suite (VIIRS) on Suomi-NPP acquired a night-time image of the Fort McMurray wildfire by using its “day-night band” to sense the fire in the visible portion of the spectrum. In the image, the brightest parts of the fire appear white while smoke appears light gray. 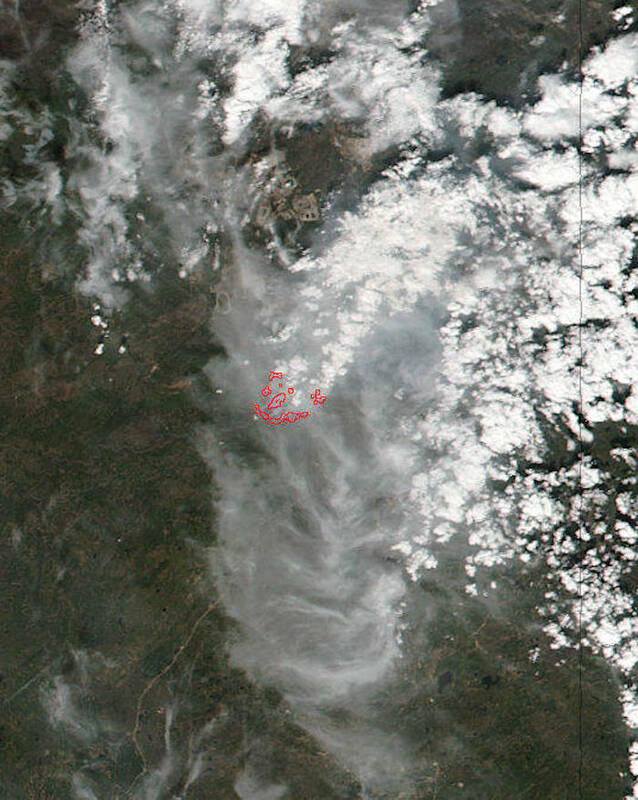 This night-time infrared view of the Fort McMurray Wildfire in Alberta Canada was captured by the VIIRS instrument aboard NASA-NOAA's Suomi NPP satellite on May 5, 2016 at 0956 UTC (5:56 a.m. EDT). NPP's VIIRS instrument captured a look at the fire and the smoke generated by the fire during the daytime on May 4, 2016 at 20:05 UTC 4:05 p.m. EDT. In the image the hotspots indicate the location of the fires. 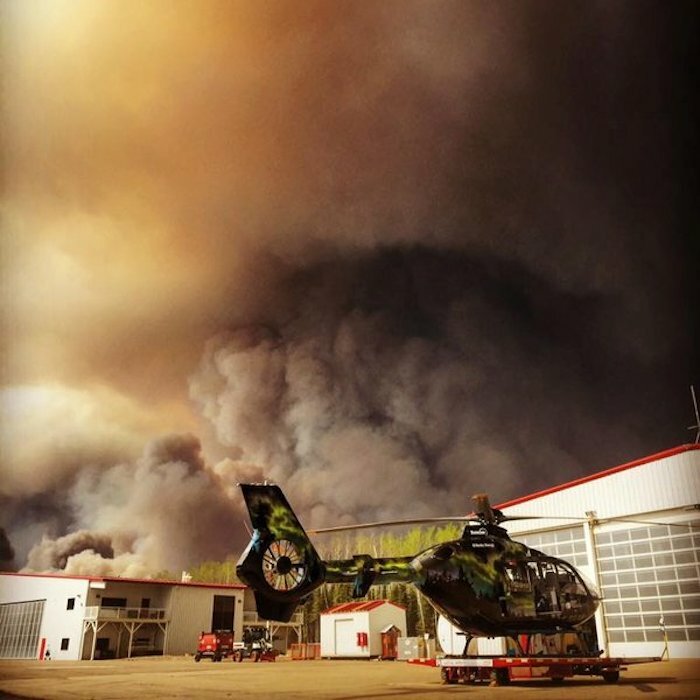 The smoke was blown south-southeast of the fires in Fort McMurray. Fort McMurray wildfire in the province of Alberta, Canada has now forced more than 88,000 people to flee the city of Fort McMurray as it spread overnight. More than 1,600 homes and buildings have been destroyed by the blaze and more than 18,500 acres have already been scorched.